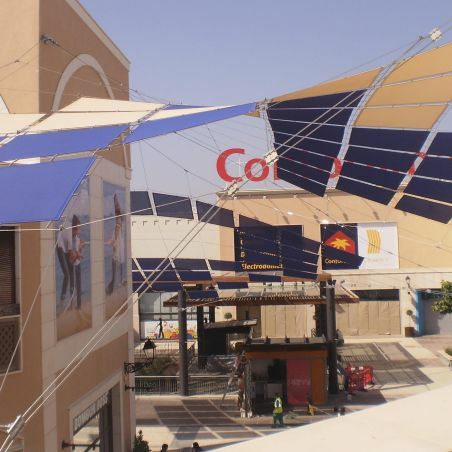 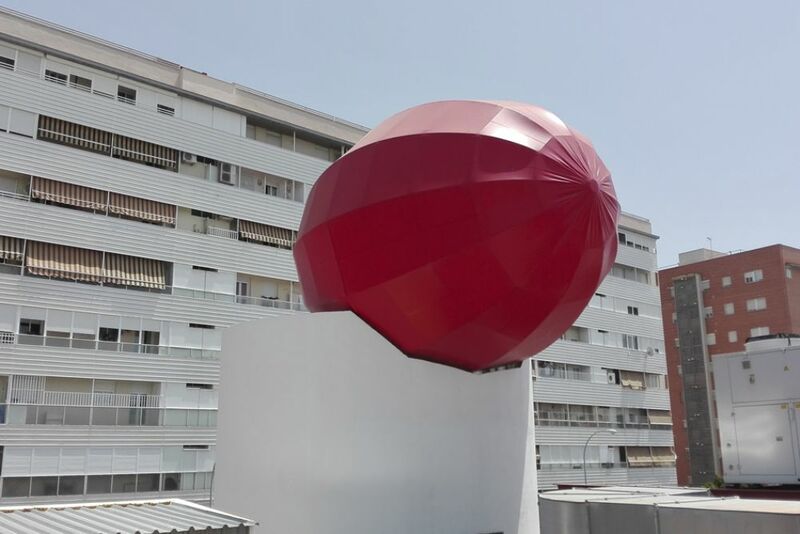 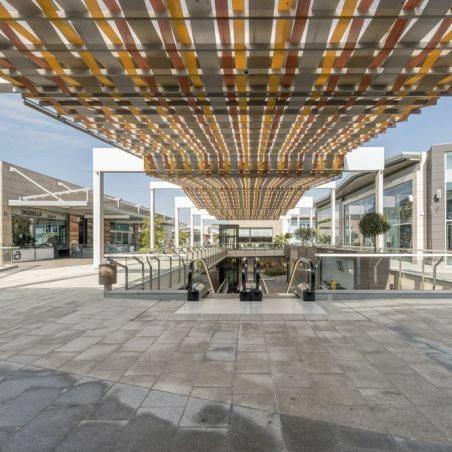 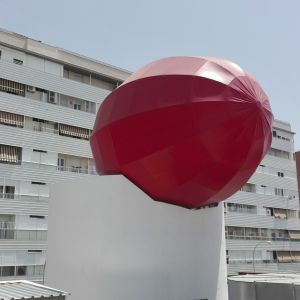 Project in Alcampo, Seville, a shopping centre with 46 shop premises, in existence since 1990. 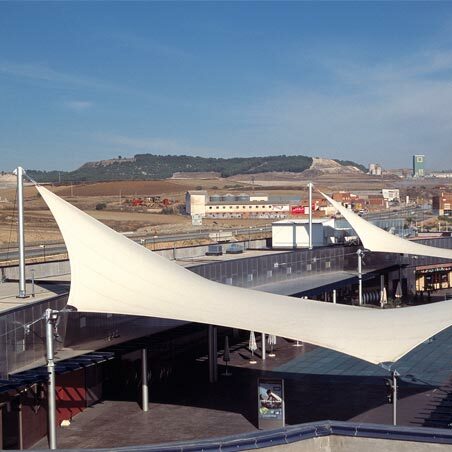 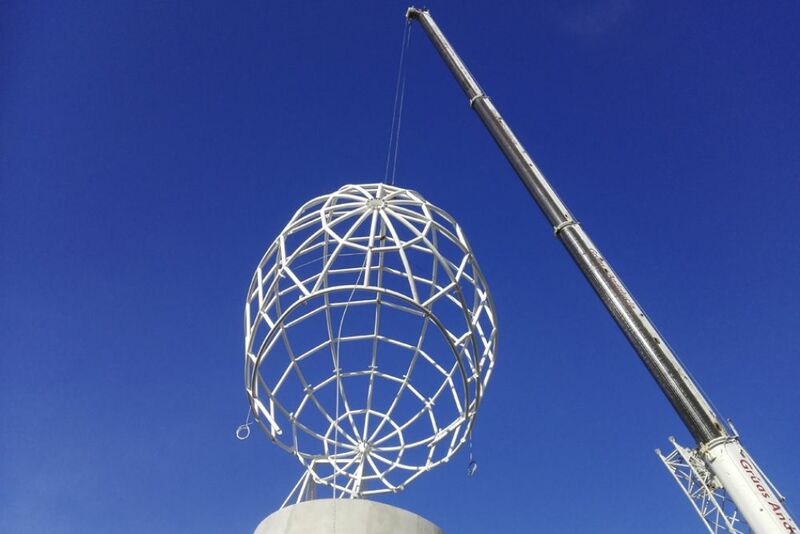 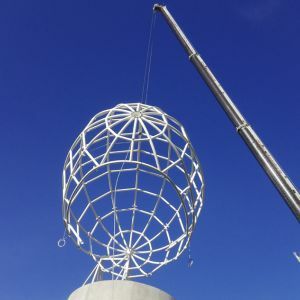 A metallic ellipsoid structure has been installed with covering tarpaulin tied down with cord on its lower perimeter. 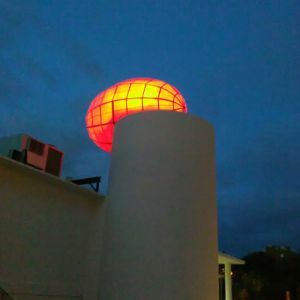 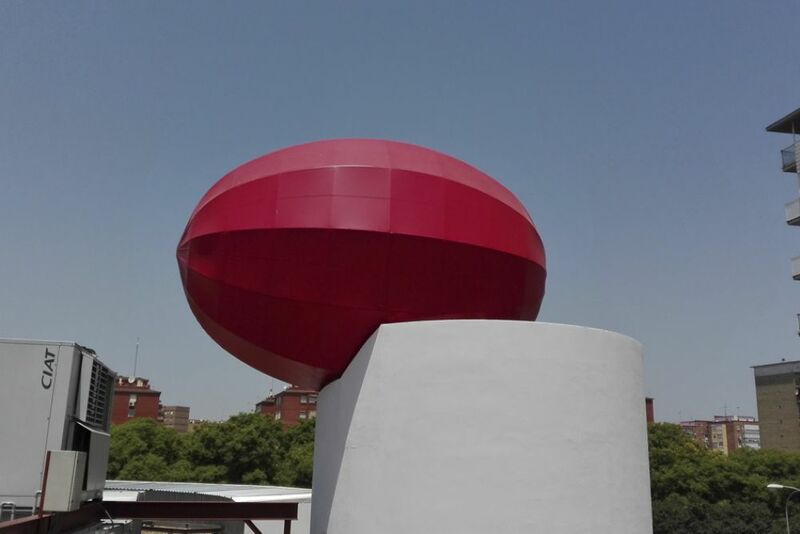 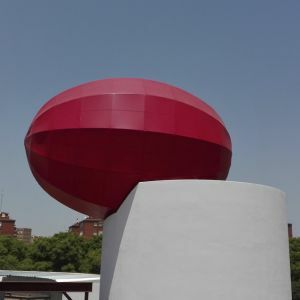 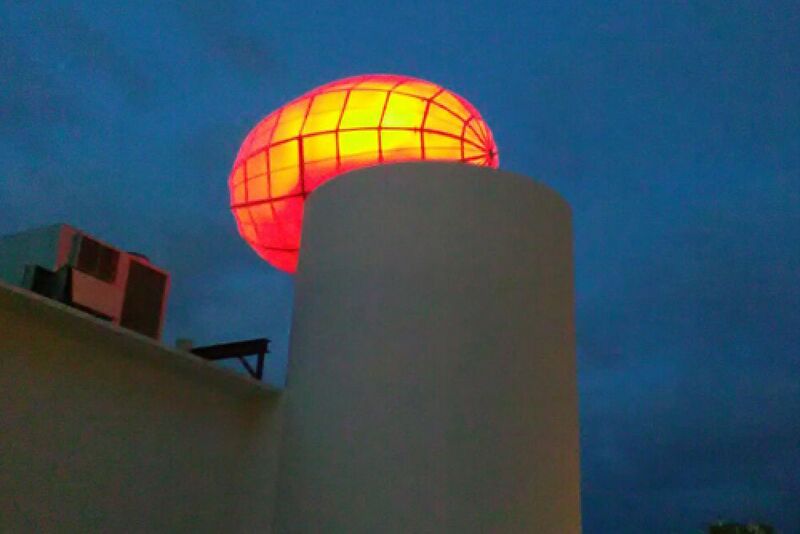 This structure forms the ALCAMPO supermarkets logo and is located above a stair well, forming a Pillar visible from afar. 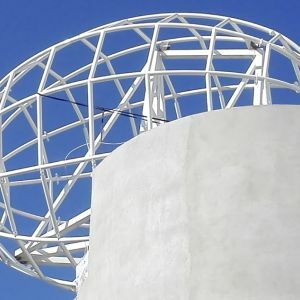 The lower metallic tubular structure forms arches from end to end, making up the ellipsoid. 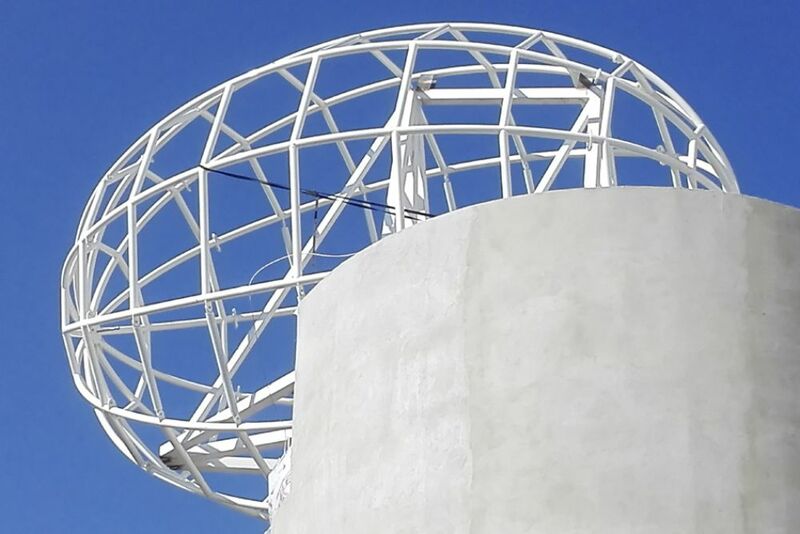 With the objective of strengthening the structure, the structure includes ribs laid along the length of the ellipsoid. 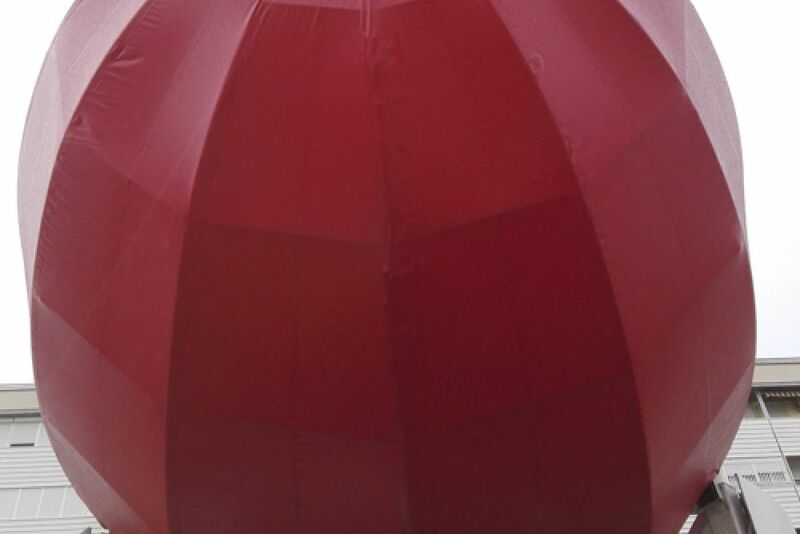 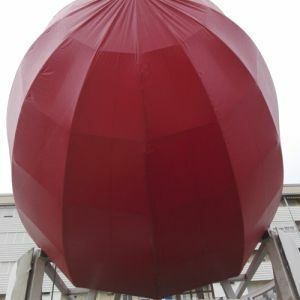 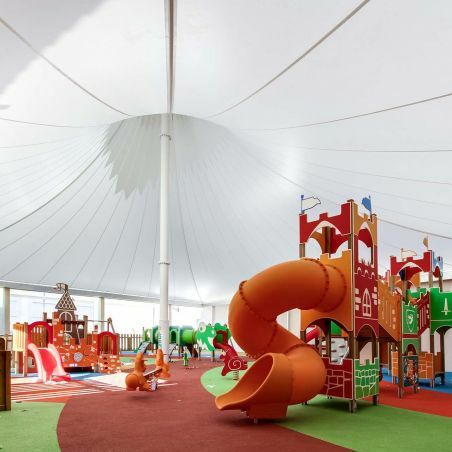 The membrane forming it is of red Ferrari 502 PVC, enveloping the structure, and is tensioned at the bottom hollow of the tower with rubber cords.